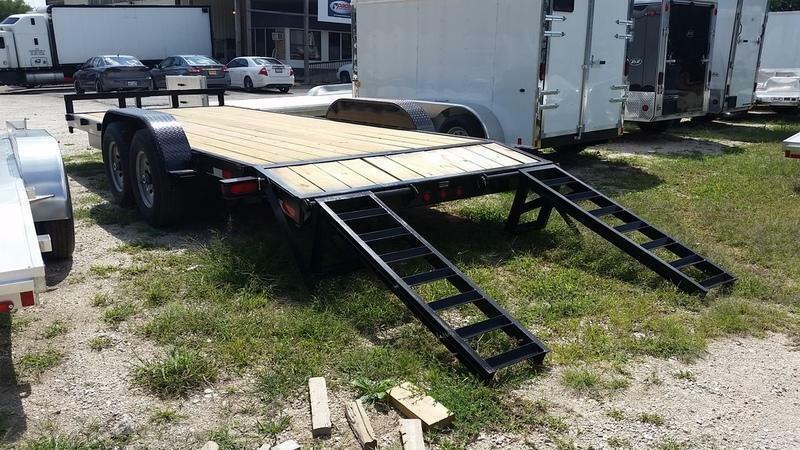 This Dynaweld trailer has a pair of stand up ramps. 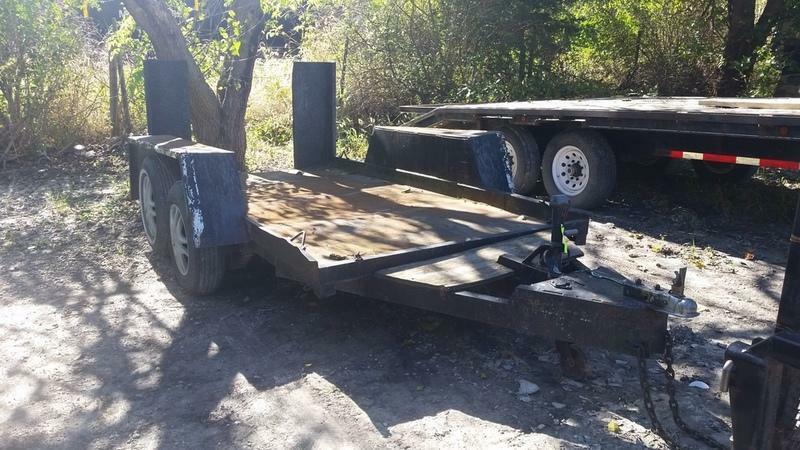 This deck is made out of steel. 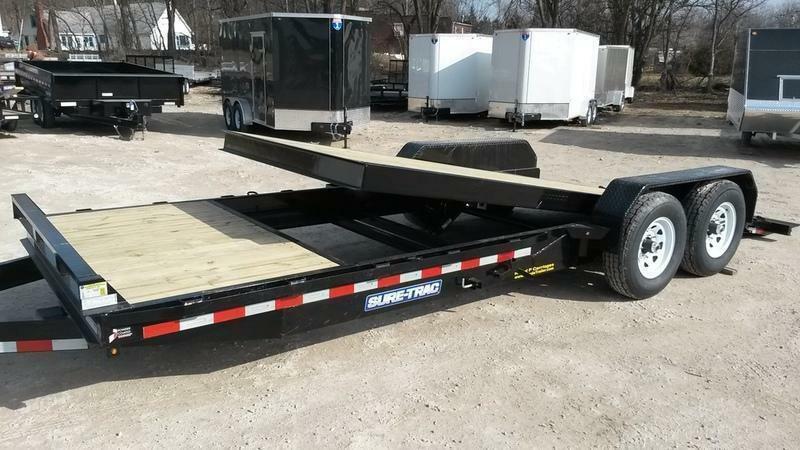 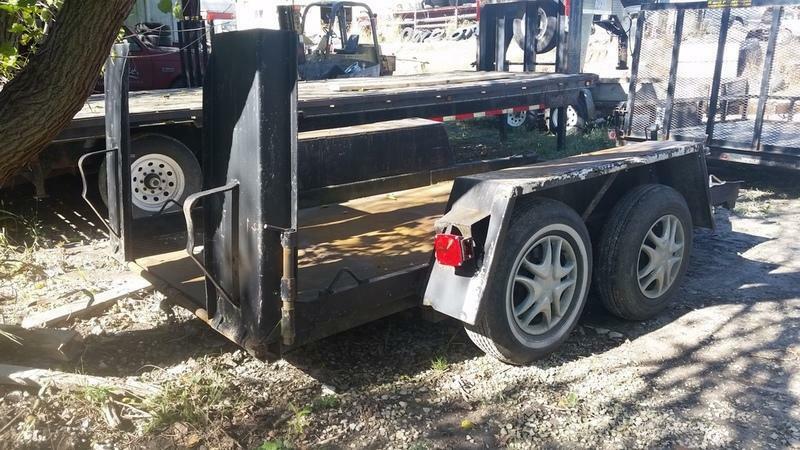 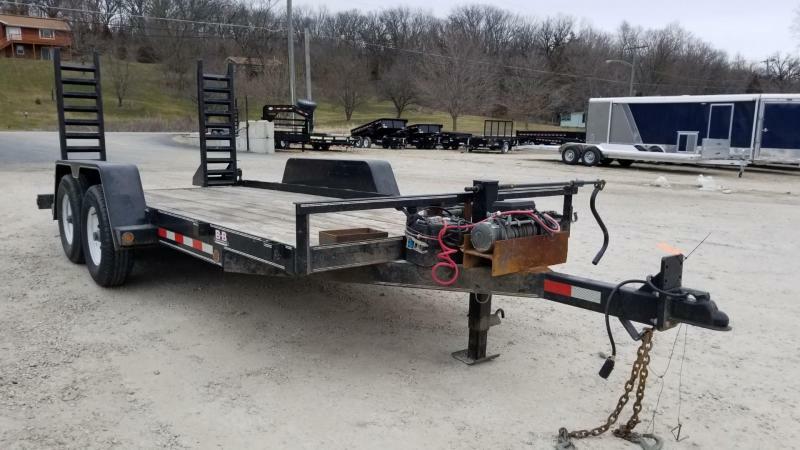 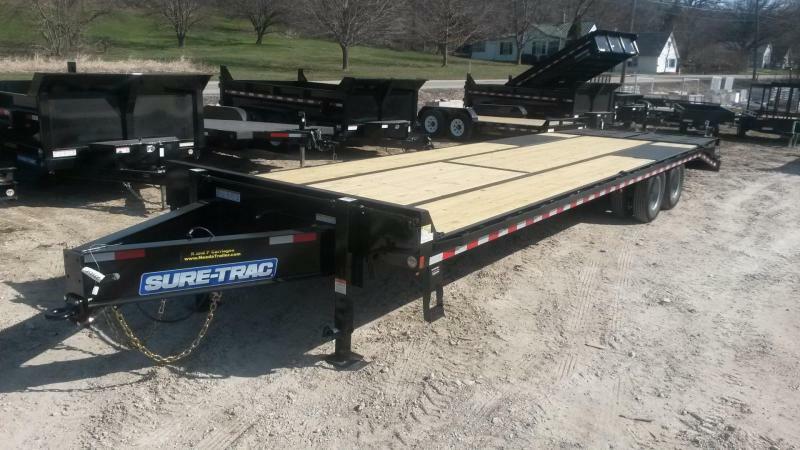 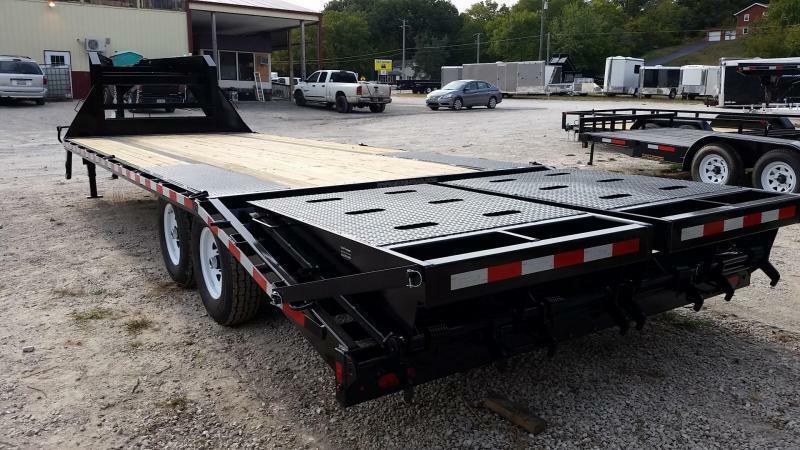 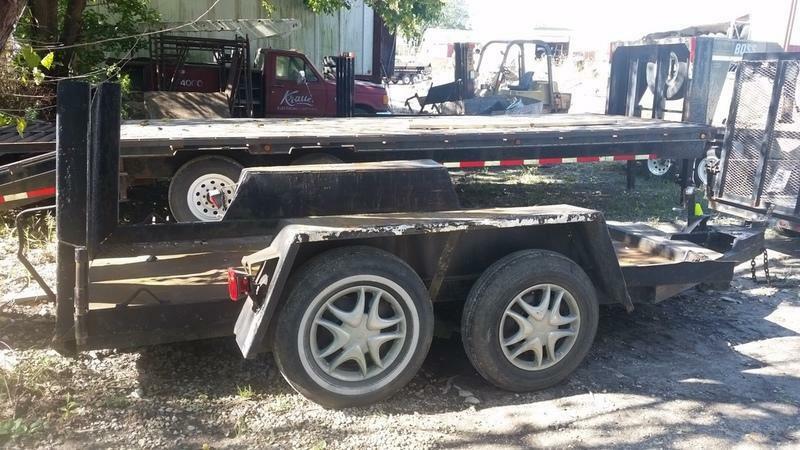 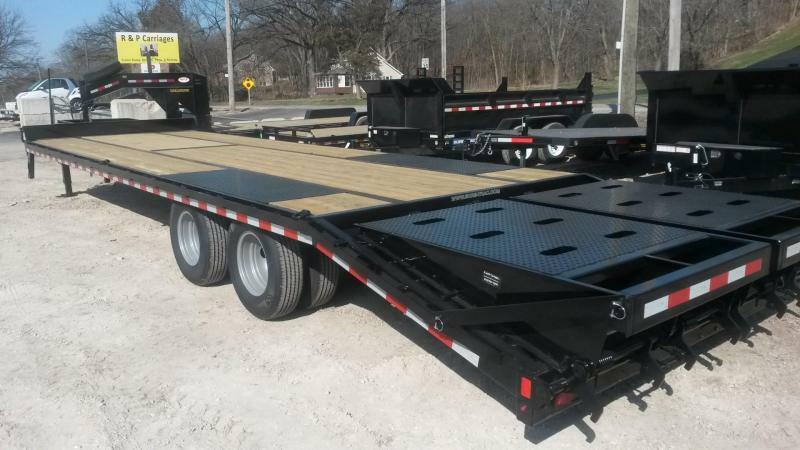 This trailer is equipped with 3500# axles, 4 tie downs in the 4 corners, ball coupler, safety chains, and 5 lug wheels. 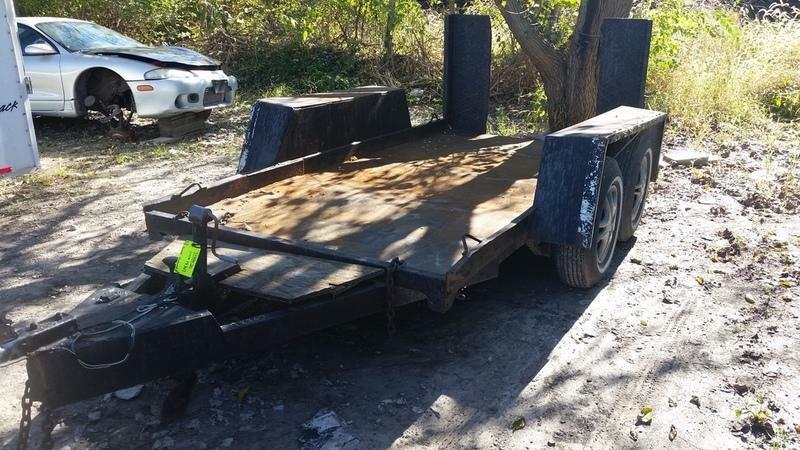 The bed length is 11 feet long. 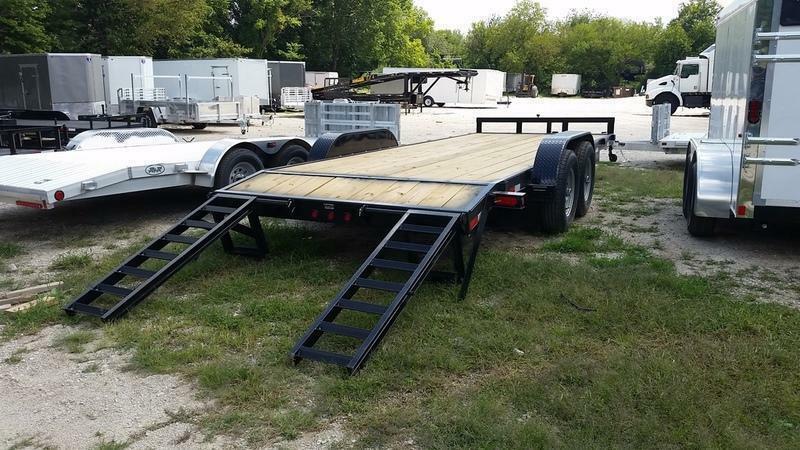 The ramps measured in at 39" long. 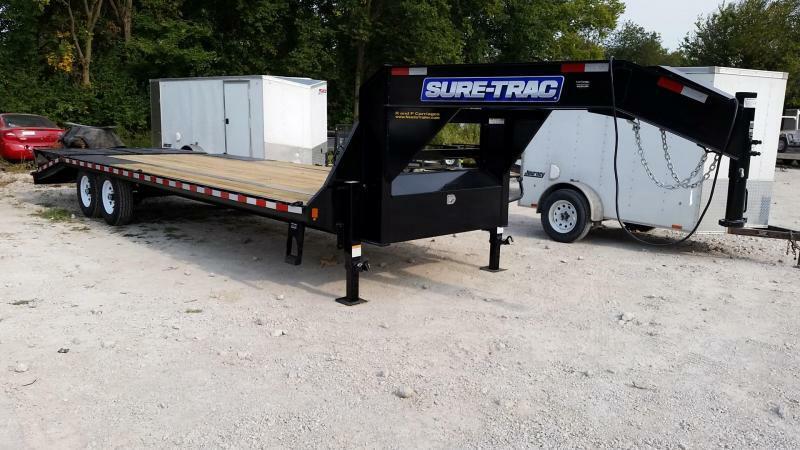 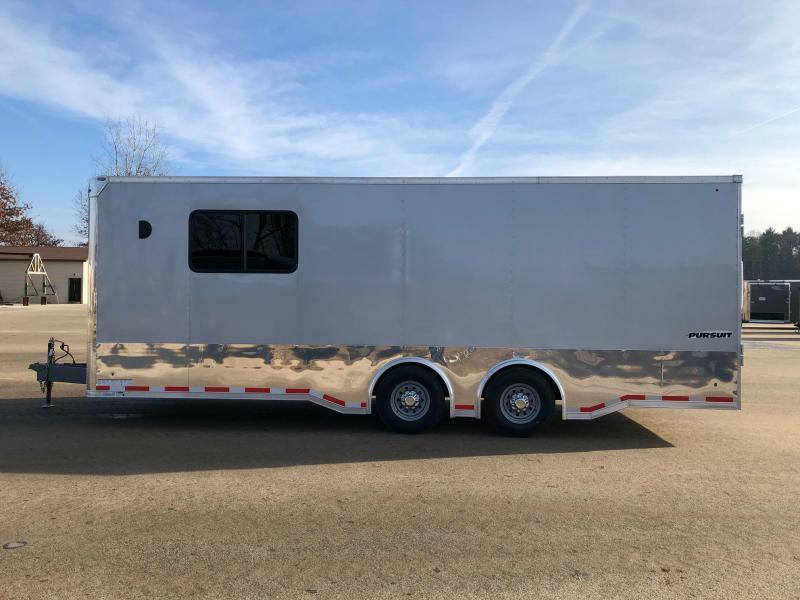 The total length of this trailer is 15 foot 4 inches.